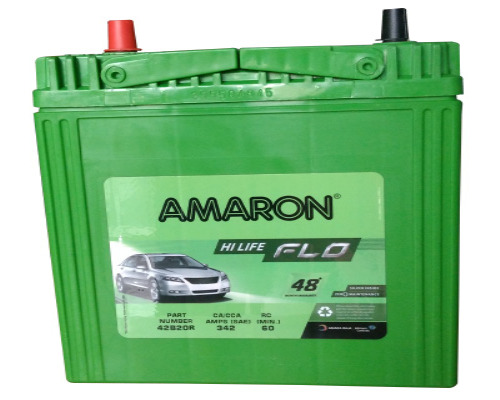 Amaron FLO 42B20R is another highly capable battery of Amaron FLO series. This lead acid battery is available with 48 months’ warranty of which first 24 months the company provides free of cost repair, maintenance and replacement warranty. Amaron FLO 42B20R batteries are popular for its long-life, extreme toughness and zero-maintenance which keeps the owners completely relaxed as far as car batteries are concerned.